Peter Petrovich Gulak-Artemovski (16 (27) Jan 1790 – 1 (13) Oct 1865) – Ukrainian poet. He was born in the town Gorodysche (now a district center of Cherkassy region) in the family of priest. In 1817 he entered the University of Kharkiv, and since 1820 he began his career as teacher in this university. In 1841 – 1849's he was the rector of Kharkiv University. Along with the University, he taught also at the Kharkiv Institute of noble maidens. He died and was buried in Kharkiv. 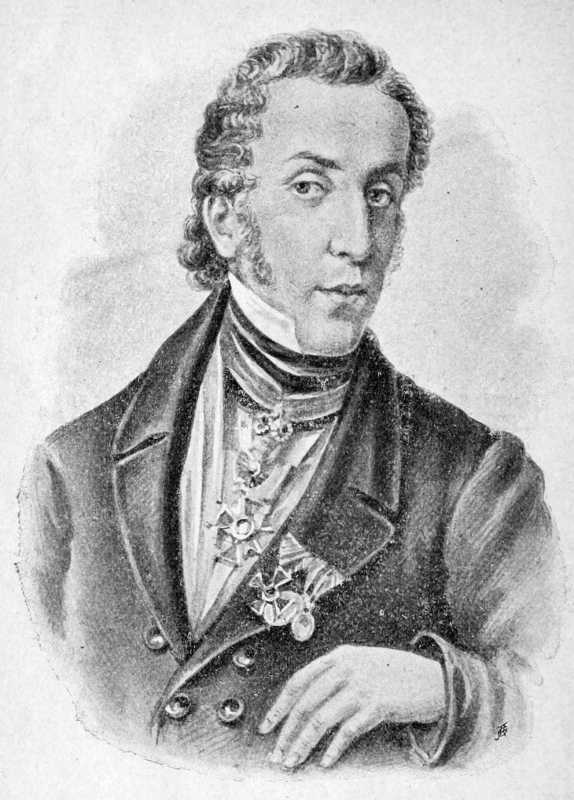 Literary work of Gulak-Artemowski began with the move to Kharkiv in 1817 and continued in 41 year – until 1858. It is quite clearly divided into two periods. In the first period (from 1817 until 1833), he performed with fables and rehashing of Horace. In the second period (1842 – 1858 years), he wrote poems dedicated to various personal events and drum patriotic poems in the Crimean War. In general, the first period gave the works, much stronger than the second. Literary fame of Gulak-Artemowski brought fable "Master and Dog" (1818), which remained his best work. The value of his work lies in the fact that he had stepped forward with his Ukrainian poems just at a time when educated people believed that the Ukrainian language had been "forgotten" and "dying." His work laid the ground for the further development of Ukrainian literature. Portrait of Gulak-Artemowski that we present, taken from the book: The works of Ivan Kotliarevsky, Peter Artemowski-Gulak, Eugen Grebinka / ed. J. Romanchuk. – Lviv: Education, 1908, p. 362.